LD CAPITAL, a wall street mortgage conduit, offers commercial real estate loans. We provide loans to various institutions by offering Small Business Administration (SBA) loans , conventional loans , Commercial Mortgage-Backed Securities (CMBS) loans, government guaranteed lending products, etc. We give our valued stakeholders access to the secondary market for long-term, fixed-rate, recourse and non-recourse commercial real estate mortgage loans. LD CAPITAL group has more than 2 decades of knowledge in the lending industry with deep connections to various market players which gives our clients the maximum benefit on their investments. 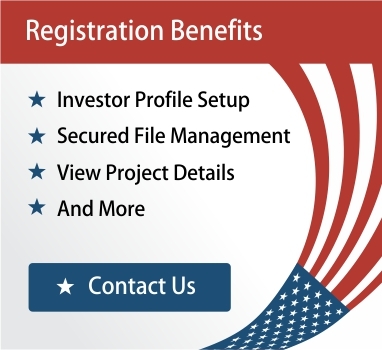 LD CAPITAL is a service oriented firm staffed with associates who are skilled in the underwriting and closing of conventional, SBA , EB 5 and conduit loans. SBA EB 5 and conduit loans are inherently more complex and cumbersome for borrowers versus traditional financing. We are committed to provide the highest level of service and integrity to borrowers, brokers and investors. Formed in 1996, LD CAPITAL has successfully completed hundreds of loan projects amounting to over $4 Billion, without any default. By 2014, we expanded our operations to 7 companies known as “LD Capital”, “LD Capital Small Business Finance”, “LD Capital Leasing”, “LD Capital SE Regional Center”. “LD Dragons”, “LD Capital Bridge to USA” and “The Loan Depot Lending Company, Inc” (LD Capital) for different services. Our Vision is to provide our clients with attractive financing options that will best serve their individual financial needs. Our Mission at LD capital is to anticipate and successfully meet the changing needs of our clients and match them with the requirements of the capital markets. Our standard of excellence is upheld in each project through our innovative thinking, unique competitive advantage and most importantly, our dedication to each client.